Join the phresh rewards program and enjoy a wide range of exclusive rewards and benefits. We value your business, so every time you choose phresh, we reward you with loyalty points that can be used on future services. 1,000 points equal $1. 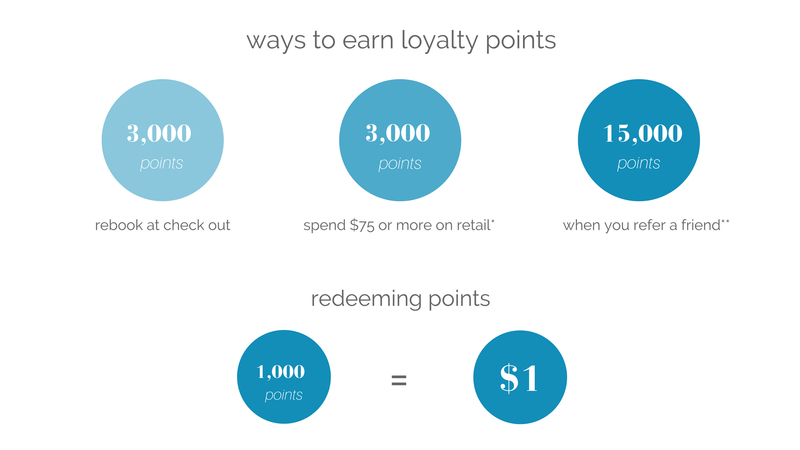 Redeem your points on any service, at any time. phresh rewards points will expire every 6 months. Please reference your receipt or online booking account for your current balance. *Must spend $75 on retail per transaction. **Referral Rewards are not valid with spa or bridal party groups of three or more. Conveniently book your appointments online, anywhere, anytime. Receive your appointment confirmations in a simple text message or email. Let us help celebrate with you on your special day.